With our Braw athletes in mind, we produced a product that would assist rest & recovery. Braw Beard was born from injury, we have our fair share of fatigue too. After a tough gym session, training or competing, you need a good sleep to help recovery. Relax and Recover Bath Salts are designed to help soothe aches & ease tight muscles, contributing to a great sleep. For optimal use fill your bath with warm water. 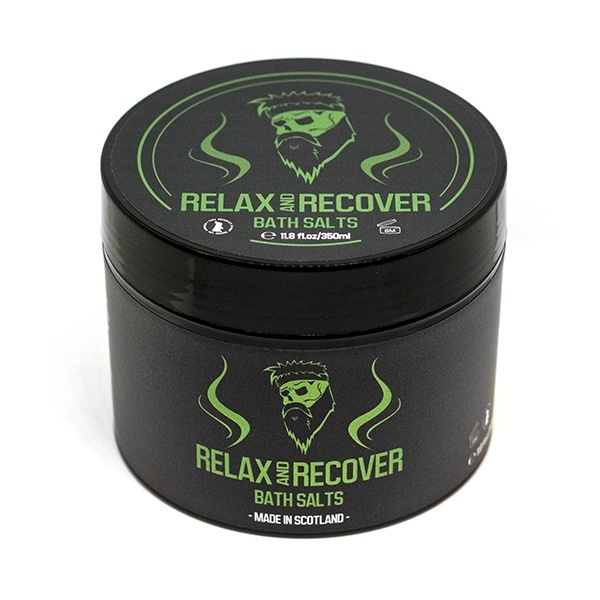 Sprinkle 1-2 scoops (scoop included) of Recovery Bath Salts into the water and gently mix. Optimum bathing time 15 -20 minutes. For external use only. Do not drink. Avoid eye contact. Because this is made from sea salt, there may be traces of small stones within the tub. Roughly 10 baths per tub. 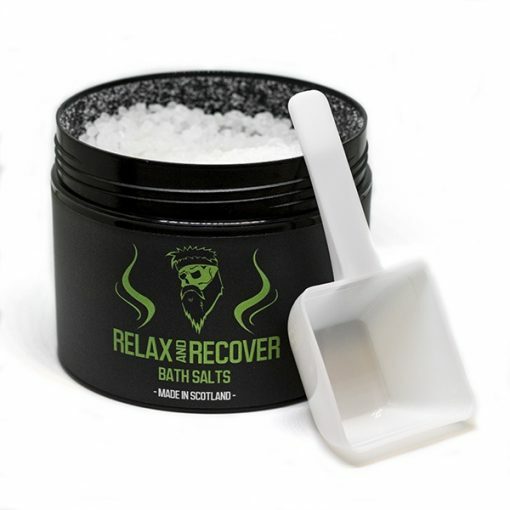 “The Braw Beard Relax & Recovery bath salts played a huge part in my recovery during training camp this season. It helped take out the soreness and fatigue the next morning and get me back on the ice and in the gym. It also helps with sleep, which is super important. I am a huge fan!” – Matt Nickerson, Ice Hockey Defenceman – Milton Keynes Lightning.